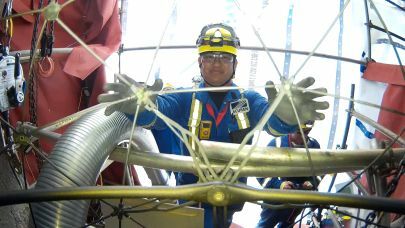 With Acuren’s extensive capabilities, engineers, inspectors, field technicians, laboratory technologists, trades people and rope access technicians we can go beyond inspection to provide a full service, solution based, one-stop-shop experience. Cost-effective solutions and uncompromised quality. Depend on Acuren for cost-effective solutions and uncompromised quality. Acuren delivers accurate, reliable results the first time, every time, improving your productivity, saving you time and lowering your costs. We understand that each industry has exacting standards and these expectations are no match for the professionals at Acuren. Our solutions are designed to meet your precise requirements for reliability, timeliness and cost-efficiency. Engineers, inspectors, field technicians, laboratory technologists, trades people and rope access technicians are available when you need them. 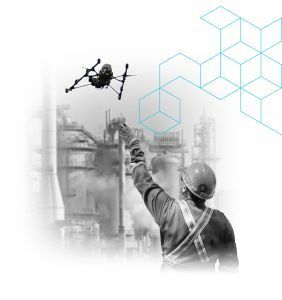 In consultation with you, we leverage our 40 years of experience to choose the right technology and personnel for each job, ensuring cost-effective, reliable results regardless of the industry. Acuren provides innovative solutions to avoid expensive or unsafe outcomes. Supporting litigation cases, insurance claims, and accident investigations, our materials and metallurgical engineers have provided failure analysis, materials testing, documentation review, and expert witness services for many high profile and lengthy industrial disputes both in North America and internationally. In harmony with safety, quality, environmental and regulatory expectations, our teams are able to provide solutions to address even the most complex issues faced by manufacturing and processing facilities. Acuren Nuclear Services Inc. is an N285.0 certified Engineering, Procurement, Construction, and Maintenance (EPCM) company providing unparalleled project management for tooling solutions, mechanical services and inspection programs.